GORGEOUS EXTRA YARN By Blue Sky Yarns- Super Soft Alpaca & Merino- SALE!! 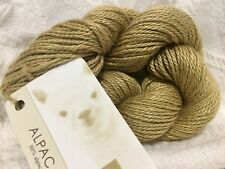 Blue Sky Alpacas::Alpaca Silk Yarn Beautiful Sheen w/ Drape 146 Yards So Soft! Blue Sky Yarns Worsted Hand Dyes- GORGEOUS- Alpaca & Wool Pick a Color- Sale! 1 Skein (4 Available) Blue Sky Alpaca Worsted Hand Dyes Yarn "Navy-2013"
This page was last updated: 21-Apr 01:59. Number of bids and bid amounts may be slightly out of date. See each listing for international shipping options and costs.